Reading books is a wonderful way to prepare children for a new experience, and becoming a big brother or big sister is no exception. There are a lot of wonderful books on the subject of having a new baby in the house, and each have their own angle to help address the various questions small children will naturally have. 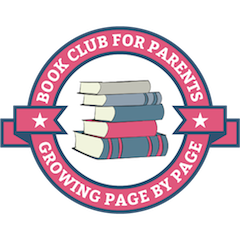 In this post I will share some of the books we have enjoyed, and at the end describe how we created our own “big sibling” book. When I Was a Baby by Deborah Niland – This is a sweet book comparing baby experiences to “big boy” experiences, and I like how simple yet fun the illustrations are. I also like how the little boy gives his baby sister his blanket, and the book ends with a hug between the boy and his mother. Great for toddlers or preschoolers. I’m a New Big Brother by Nora Gaydos – This book starts off saying, “I’m a new big brother!” and goes through the every day experiences. Several times it compares the newborn experience with an older baby, hinting at more play and interaction after a few months/years. It also encourages the boy to be independent, putting on his pyjamas and brushing his teeth on his own. It ends with the boy being happy he’s now a big brother, and a family picture. I’m a Big Brother by Joanna Cole – This book starts of celebrating that the boy is now a big brother, and has more text for slightly older siblings (the back of the book says 2-5 years, but I would say it could also be good for slightly older kids as well). It talks about how a baby is too little to do many things (like walk or eat pizza), and encourages the big sibling to get involved in a positive way with everyday tasks – such as feeding, changing a diaper, or holding the baby. It explains how the boy was also a baby, and says he will always be special to his parents. It makes becoming a big brother a special milestone. Usborne First Experiences: The New Baby illustrated by Stephen Cartwright – This book is unique because it shows a lot of the preparation for a new baby, and also goes through how the mother will go to the hospital and the kids will be looked after by the grandparents. It also shows how both parents care for the baby, and the kids copying with pets and dolls. The Berenstain Bears’ New Baby by Stan and Jan Berenstain – This is a storybook mainly showing how Papa Bear makes Small Bear a new bed, because he has grown out of his old bed which will be passed on to a new baby. In the end, Small Bear is very excited to be a big brother (and has a fun interaction with his new sister — my boys loved this). The New Baby by Mercer Mayer – This Little Critter story focuses mainly on a sibling trying to interact with a new baby in the house, giving ideas like cuddling, giving a finger, or going on a walk. It ends with the big brother being very proud, with friends who think he is very lucky to have a baby sister. The New Baby at Your House by Joanna Cole – This is the most in depth book of the ones listed here, but what sets it apart the most is that it has pictures of real people (not illustrations). It also addresses tough emotions that kids can go through, feeling a bit mad or jealous. It ends with a focus on how love grows when a family grows. After my second son was born, we made our own “Big Sibling Book” by printing out pictures of my older son with the new baby. These included a picture of him holding his baby brother, brushing his hair, playing with him, family pictures, and so on. I feel this helped to concentrate on the positive interactions between the two boys, and it offered an opportunity to talk about all the new experiences he was going through as well. I found after about three years old, the kids really love looking at photos of themselves and hearing stories – so this was a fun way to discuss various points such as why it’s important to be gentle with a new baby, how we can help them, etc. Beyond books, we also engaged in quite a few activities to help prepare for a new baby in the house. Check out 15+ ideas in this post. 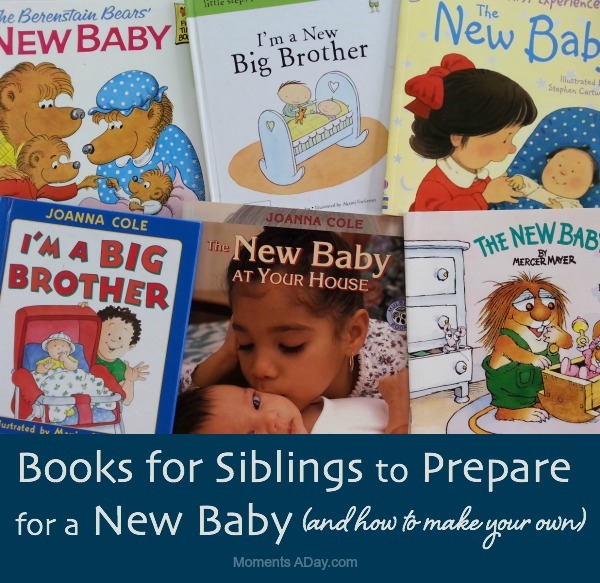 Do you have any favourite books to prepare siblings for a new baby? This post contains affiliate links. All opinions are my own. To find out more about advertisement and reviews on my website please click here. Thanks for these resources Chelsea. I’m about to pop and these books will certainly keep my 3 year old company. Daddy will be reading for the mean time though. So glad the list might help 🙂 Thanks for stopping by! Sibling rivalry issues are quite common in every home. We used to fight with our siblings for toys, products, and others; therefore parents are getting worried about their sibling rivalry issues. But instead of support these issues we should take very good care of our parenting issues and teach our kids about good things about sibling and prepare them for the good. Here also we can get some collections of books on sibling rivalry issues and how to control over it.